This first match-up is so close that the Santa Fe and Sportage are virtually indistinguishable. The two big safety testing organizations are the Insurance Institute for Highway Safety (IIHS) and the National Highway Traffic Safety Administration (NHTSA). The IIHS gave the Santa Fe the highest possible ratings in each of their five initial tests. And the NHTSA gave a five-star overall rating and five stars in side crash testing and four in frontal crash and rollover tests. Coincidentally, these scores from both organizations are exactly the same as the scores the Sportage netted. This is truly a tie in every sense. On top of that, the Santa Fe and Sportage have very similar active safety features. 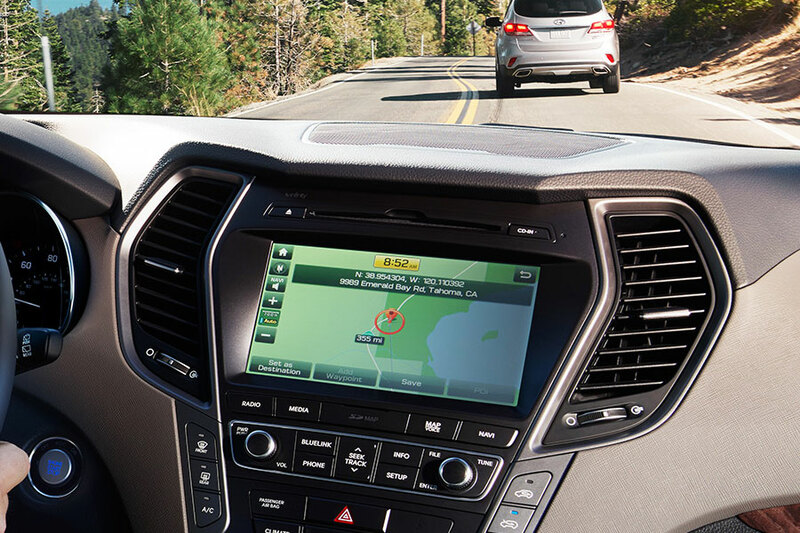 Nothing comes standard, but there are plenty of optional features, such as blind-spot monitor, lane-departure warning, parking assist, rear cross-traffic monitor, and forward-collision warning. Again, the Hyundai and Kia are, in terms of advanced safety features, indistinguishable. They've done it again: another tie. The Santa Fe has one of the best warranties in its class. Namely, it's a five-year/60,000-mile warranty and a 10-year/100,000-mile powertrain warranty. Paired with great safety ratings, that should give you plenty of peace of mind. But the Sportage has a warranty that's exactly as long as the Santa Fe's. So far this contest is still a dead heat. The Santa Fe and Sportage are in different classes. But when you consider that they're almost the same price and for the Santa Fe you get so much more vehicle, any comparison without this category would be incomplete. The Santa Fe is more metal for your money. A lot more. 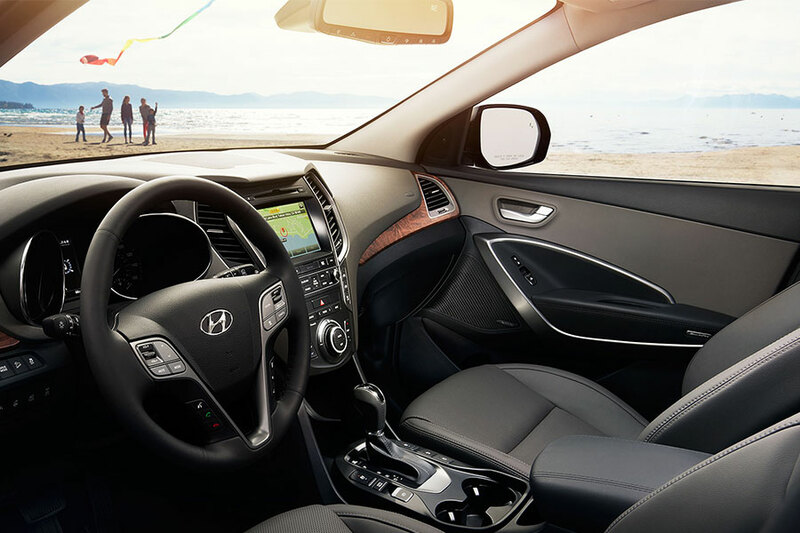 The Hyundai has an extra row, two additional seats, and more cargo space. Those are big differences, literally and otherwise. The second row of the Santa Fe can be a bench or captain's chairs and is adult-friendly while the third row should probably be reserved for the kids. It's possible to get a two-row configuration as well in the Santa Fe Sport. The cargo room in the Santa Fe is generous compared to the Sportage, with 13.5 cubic feet behind the third-row seat, 40.9 cubic feet behind the second row, and 80 cubic feet with all the seats down. Meanwhile, the Kia Sportage gives you five seats with no other configurations and a maximum of 60.1 cubic feet with the rear seat folded down. That's less cargo room than most other compact SUVs even. On the plus side, the rear row folds flat but that could also be said of the Santa Fe's seats. At the end of the day, these SUVs are evenly matched in all ways but one: size. If you need something that seats more people and hauls more stuff, you need the 2018 Hyundai Santa Fe. It's about the same price, but for a lot more SUV.